You don’t start a web agency because you have the dire need to help businesses make money. You start a web agency because you want to make money. And you want to make money in the easiest, least stressful way. Thats’s exactly what I would have said to someone wanting to buy my business after my first year of running One Day Websites. Honestly. I was doing it part-time, but I still managed to get about ~12 clients on board, websites completed and onto my monthly Website Care Plan which covered their maintenance, some changes to their websites per month and a few other things. I was pretty stoked, and it was a pretty cool feeling. I had the almighty recurring income, some websites I was happy to showoff when I got my next lead, and I had all the softwares I needed for my web agency (that I explain in this post) set up and working. But how much money was I making per year, and was it worth the effort? No. Definitely not. I sat down one day and worked out my income vs expenses and it was really disheartening. I mean, I was working two week days a week on this, plus the majority of most weekends. I’d come home from working at the agency to do work on One Day Website’s, sacrificing social events and missing out on rare occasions because I had to do this work, and yet I had only now realized the juice wasn’t worth the squeeze. But money isn’t just the only thing I was frowning upon. Making websites is not all about making money. Sure, you can make money, but I learnt that there’s things more valuable than money. Time. Effort. Mental Health. So I was working for an agency part time, three days a week, and making up some more income with One Day Websites. I was working nights, always on call to clients, always trying to hunt down the next lead, and always working working working. I didn’t just start out on three days a week with this agency. I actually was on 5 days and dropped down to three, and while I was happy with the money for 5 days, it was really only enough to get by, so I had to really make some money working on One Day Websites. When you really need to make money, you start being less picky with the clients and work you take on. After dropping two days at the agency to gain momentum on One Day Websites (with the eventual goal of this being my full-time gig), I started chasing money to pay the bills and deviating away from the goal of One Day Websites, which was to gain more clients and thus more recurring revenue from the Monthly Website Care Plans. Recurring revenue is synonymous with SAFETY in a lot of peoples books. Financial Safety. Knowing you’re getting X amount of money at this time on this day, where you can then plan your life and ventures around having this money. So I just needed more clients, for more recurring revenue, for more safety. I actually started getting a lot of leads for custom work and they were week-long projects (one month-long one in there), which as it was food for the bills, I took them on. They were my sole focus for the better part of 6 months and before I took on each one I knew it wasn’t what I had planned in the beginning for One Day Websites and that I should not say yes. But I did. It was great, money here and money there, and I felt like I was making progress as a website company as my income for the year was going up. It felt like success. But it wasn’t. I’d made some money, but at the end of all these projects, this income I had made I would have just about made if I had stayed on the extra two days at the web agency. And I would have saved all the headaches. Worst of all, I had not had time to chase new leads, my recurring revenue had not increased, and I had somewhat not focused my attention on my existing clients so I was carrying that guilt. I guess what I am trying to say is sometimes it is not always best to chase the immediate income, but rather it’s going to be better if you stick to what you initially plan for your business and sit it out. If I could do it all again, I would not have taken on those larger projects and continued to stick to my plan and push for leads and websites. Build my clients, build my safety. I was living with a couple of relatives who ran a very large recruitment company and were very successful. One day I told them about the puddle of mud I couldn’t seem to design myself out of. ME: you can do a design and they could change the whole thing. What really stuck with me is that after all this, they asked whether, if I did NOT do the things I didn’t like doing, would I still make websites. I said yes. They said “So why not do that?”. After realizing I didn’t have to follow what other people were doing with their companies, I did just that and stopped providing the things I didn’t want to do. I stopped allowing future clients to edit their own content and altered my Website Care Plan to include some design time. I stopped offering unlimited design revisions and build with Beaver Builder templates only. 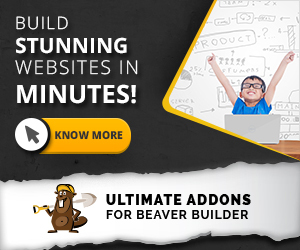 That’s right, I exclusively build websites with Beaver Builder and the Beaver Builder templates here on BeaverChildThemes.com. If the client wants a custom design, I refer them to someone else whose business model includes custom work. What goes around goes around and hopefully they send me back some clients that fit my business model. With this belief, everyone gets the clients they want and more importantly stay true to their business model. I don’t install complex plugins that may pose a risk to my automated update and backup process. Currently, I know the plugins on my client’s websites work, so I can have faith in the automated processes I have in place. I’ve learnt that it’s not worth having custom setups with an automated process and feeling uneasy constantly. And no-one wants to go one-by-one and update their websites, so that’s not an option. By saying NO to the jobs that don’t fit your business model, you’re full-proofing yourself and your business for the future. With a tighter business model, you’re essentially restricting the clients you’ll be taking on. You’re defining a specific criteria that people have to meet to be one of your clients. By limiting things, you’re actually opening your business to more automation, as all the clients you have are the same. For example, all my clients have the same plugins, are built on the same theme and use the same templates. With all these things being the same, I know that my automation process will work for backups and updates. It’s great. There’s no sites where each nightly backup leaves you waking up checking the URL to make sure it’s still up. That’s what I think, but I still don’t know how powerful NO will be. Although this article may seem like I’ve been saying NO for a while, I learnt all this last year. So, if anything, my web agency One Day Websites is still a NO Padawan, but I can see the benefits of being a Jedi. A NO Jedi. Where saying NO to a project isn’t seen as a missed opportunity, but rather viewed as one less headache. One less thing that could ruin the automated processes I have in place. Automated processes which allow me to live my life without worry as a web agency. Start living life worry free and making money from the clients you want to have as your agency’s clients.